Each year, Harvard sends 12 of their finest delegates across Asia to discuss ongoing concerns and current issues. 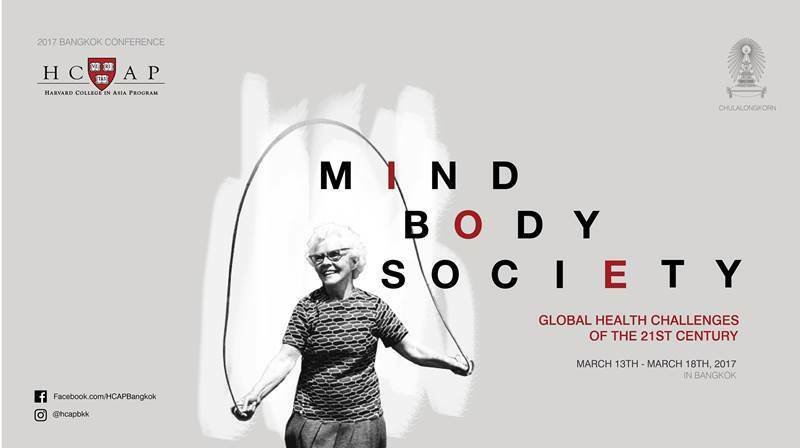 This year, the students return again to Bangkok for a week-long journey to tackle the theme of “Mind, Body, and Society: Global Health Challenges of the 21st Century” at Chulalongkorn University. The Harvard College in Asia Program, or more commonly known as HCAP, is a nonprofit organization run by students at Harvard College. Acting as a platform for academic, cultural, and social exchange between future pioneers of the United States and Asia, HCAP has established a long-term relationship between Harvard and its eight partnering institutes in Bangkok, Dubai, Hong Kong, Istanbul, Mumbai, Seoul, Singapore, and Tokyo through a series of conferences and events. In January, around 64 selected candidates from Asian countries are invited to attend the annual conference held at Harvard to discuss and explore specific themes that bear a threat to our global society. Following in March, Harvard students then attend the conferences held by partnering universities in order to create special and holistic experiences, not only to address the topic issues, but also to engage in an exchange in perspective and ideas. After constant reports of health crises and epidemics, such as the spread of Ebola from West Africa, the debate around disease control in European refugee camps, and the controversy surrounding mental health and US gun control laws, along with recurrent concerns of overpopulation, poverty, and obesity, this year’s theme aims to bring attention to finding alternatives to conventional fixes. The sessions range from keynotes about “Global Pandemics”, “Exploring Global Medicine Trends: Where East Meets West”, and also a panel discussion on “Understanding Sexual Violence: Individual, Socialization and Restoration” and Q&A session with Harvard students. Guest speakers include Jaded Chouwilai, Director of Women and Men Progressive Movement Foundation, Dr. Krit Pongpirul, Adjunct Faculty of Johns Hopkins Bloomberg School of Public Health and Research Advisor of Bumrungrad International Hospital, Assistant Professor Dr. Panrapee Suttiwan, Child Psychologist and Board of Director of the Health Science Group of Chulalongkorn Unviersity, and Dr. Panita Suavansri, Lecturer and Counsellor at Chulalongkorn University. All information regarding speakers, date, time, and venue of each session will be available on https://www.facebook.com/HCAPbangkok.